Mali tells visual stories that derive from her experience, as well tries to communicate and connect with others within her community. An independent filmmaker, Malinda Francis (a docuvixen film) has been working as a freelance filmmaker, camera operator and editor for 5 years now. She continues working on her own projects and various community media initiatives.The themes that she explores in her work are around urban living and cities, and as well migration stories. Her first independent poetic documentary Where are we (shot in Detroit) is currently going around in various festivals, and developing other films around urban cities such Windsor, especially in the advent of the economic crash. The Diaspora Travels: is an interactive digital project mapping the travel stories of the Black/ African/Caribbean Diaspora, past, present and future. Current Project: The Diaspora Travels: Haiti where she documents the migration of the African Diaspora, past present and future. This has taken her to Haiti, where she follows the diaspora, in the ongoing rebuilding of the country, from the Earthquake in Jan. 2010. Telling the untold story by any means necessary, We don’t need your permission and our stories will be told. Journals of a Docuvixen is a blog about community centred film, video and digital production and the goal is to support artists and communities to become self-sustaining and autonomous. A Film Production Company which has a community centred approach to producing films and collaborates directly with community in all stages of the production. The goal is to support artists and communities to become self-sustaining and autonomous. docuvixen : sits at the point of contradiction, and points out the absurdity. 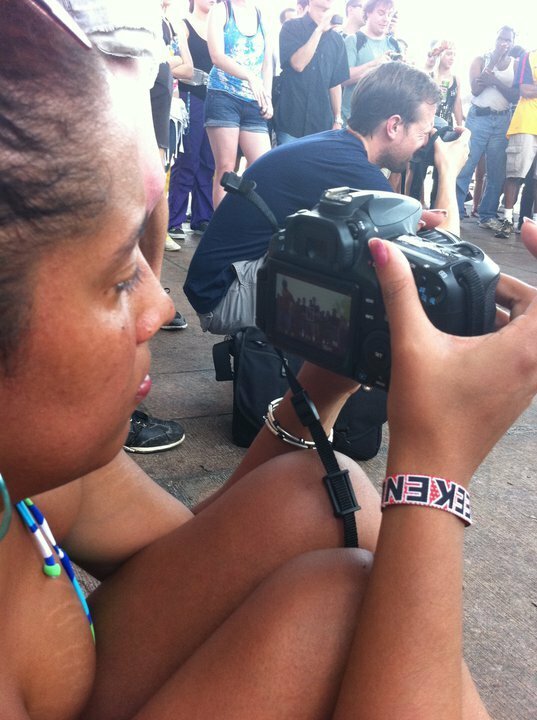 film.media/music/art/ community /(r)evolution/ ♥ ONE LOVE reps the Diaspora all day everyday. Saturday Morning Live SEE YOU IN THE WHIRLWIND ~ Pan-African and Internationalist analysis of world events, News Magazine Show. Things Falling Apart a Theatre Company that produces works of African Canadian/Caribbean writers who are looking to populate the stages of Toronto Theatres with their works. Diaspora Travels travel stories of the Black/ African/Caribbean Diaspora, past, present and future. a docuvixen film A Film Production Company which has a community centred approach to producing films and collaborates directly with community in all stages of the production. The goal is to support artists and communities to become self-sustaining and autonomous. The Diaspora Travels: Haiti Investigating the barriers preventing resources from reaching those who most need them. Uncovering roles that Haitians and Diasporic Haitians play in the `Reconstruction’. Artist In the City a radio show that explores the world of professional working artists of all disciplines in the city of Toronto, and beyond. On The Water Into Full time into Film and Video Art ilm and video art. So, now I am very interested in Cities and how community is created within it. The boxed like shapes that we live in and contrasted with our natural landscapes. Where are we This 5min poetic documentary, follows a lone bike rider through an abandoned city, and this film questions the decay of an North American City, after the fall of industry, and asks the question, Where are We?